People living with disabilities in Africa face huge challenges accessing education and employment. Even getting about at home and in the locality can be fraught with difficulties. Inadequate infrastructure in and around many schools, offices and houses can force people to become socially excluded from their communities. Bicycles are a common mode of transport across Africa. And even though public roads don’t have suitable infrastructure, travelling by bike makes a difference for many people. Students can reach school faster, health care volunteers can visit more households and farmers can transport more crops to the markets and markets which used to be out of reach when walking. But many people with mobility challenges, who can’t use bicycles are unable to access education and employment. Often, they may have no alternative but to resort to begging on the streets, which can be unsafe and demeaning. Breaking the cycle of destitution in Africa caused by disability, has become the primary concern of many local, national and international non-governmental organisations and charities. 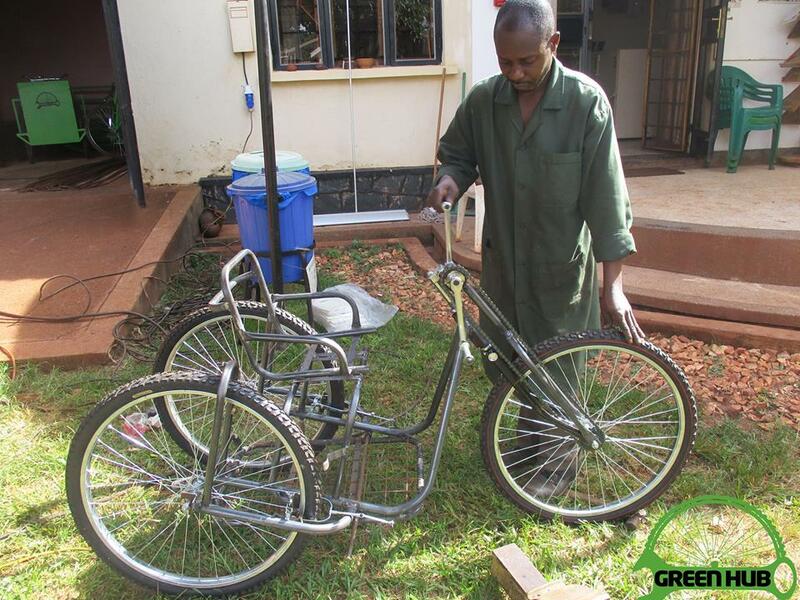 CooP-Africa, through the Green Hub in Jinja, Uganda and Kisumu, Kenya, manufacture mobility aids such as (child) wheelchairs and hand tricycles. Proudly manufactured in Africa. 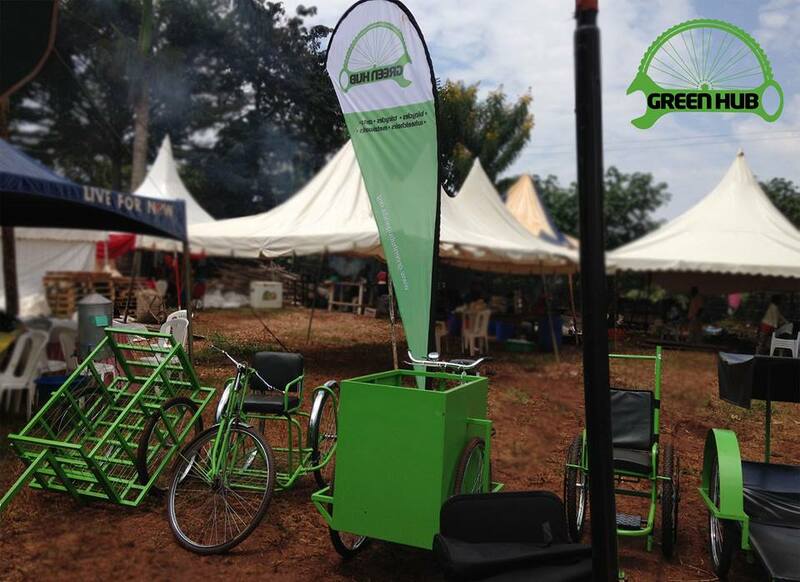 And we keep on designing mobility aids serving the local needs in Africa. We for instance are looking at manufacturing bikes designed for a carer to pedal a wheelchair user around. By improving access to mobility aids we contribute to social inclusion and a better future perspective. The availability of mobility aids in Africa is scarce. Mobility devices designed to navigate outdoor terrain are almost unheard of. Bicycles are a cost effective way to travel in Africa. That is why CooP-Africa helps students, health volunteers, farmers and small entrepreneurs to access bicycles, by making them financially accessible and making suitable bicycles available (since most bicycles are very weak and/or not suited for the purpose). Where even a pair of shoes can be considered a luxury, bicycles can give people the opportunity to travel across long distances for work, school and family, in relative ease. Under the harsh, hot sun of a sparsely populated landscape, these journeys would otherwise be extremely difficult to make. Handcycles and walking aid bikes are almost impossible to get a hold of in most countries in Africa. So this vital option for safe travel is unavailable to most with mobility issues, which further adds to feelings of isolation and the realities of being unable to actively participate in society. There are a number of activities anyone can arrange or attend to support those in Africa that live with extreme poverty, coupled with mobility issues. You can start small in your own community, getting involved in voluntary admin for charities and NGOs. Many organisations need help with their online presence; marketing and promoting their projects on the internet. This is the kind of volunteering you can do from home. You could also bring your community together, cooperating to organise fundraising events. Involve local schools, businesses, and faith groups. Sponsored bake sales, walks and bike rides, competitions and dinners, are all fun ways to raise money and awareness. It can be really encouraging to those in need, to know that there are people that care about their cause, even if they are many miles away. With your support CooP-Africa can give more people living with disability access to mobility aids and give them hope for the future. Get involved! Volunteering overseas is a life-changing experience, and you don’t have to be highly skilled to do it. Helping out established projects in places of need, by sharing the skills and experience you do have, can bring great benefit to yourself as well as those you are supporting. Don’t let mobility challenges stop you volunteering in other countries. There are adapters and all-terrain aids available at home that you can take along with you. Your experience can prove to be a fantastic example to others in the country you volunteer in, and back in your own country too. Although many people still go hungry every day, global poverty is at an all time low. But having food in your belly isn’t enough to ensure a happy, healthy life. Education, employment, and the ability to get out and about and be a part of the lives of others, plays a massive part in the well-being of a person. Everyone has something to give, and there is power in togetherness. We can be the change we want to see. No Comments to "Convincing the African continent of the capabilities of those with mobility challenges"